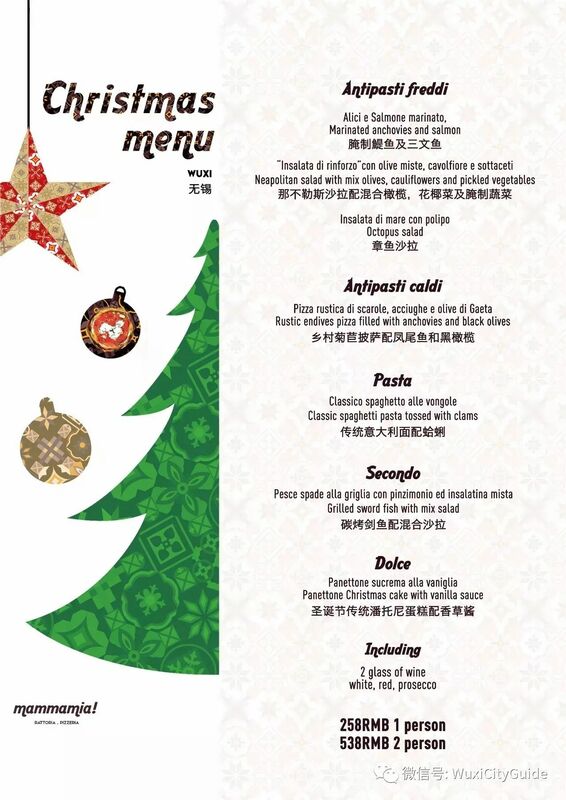 Never had a traditional Italian Christmas dinner? Well, here’s your chance! Make your way to Mammamia Pizzeria on December 24th for dinner (5:30pm – 10:00pm) or on December 25th for lunch (11:30am – 2:30pm) for a delicious Christmas treat. Prices are 258rmb/pp OR 538rmb/per couple. Reservations are highly recommended and can be made by calling 0510 8508-9808.